Brainwaves. 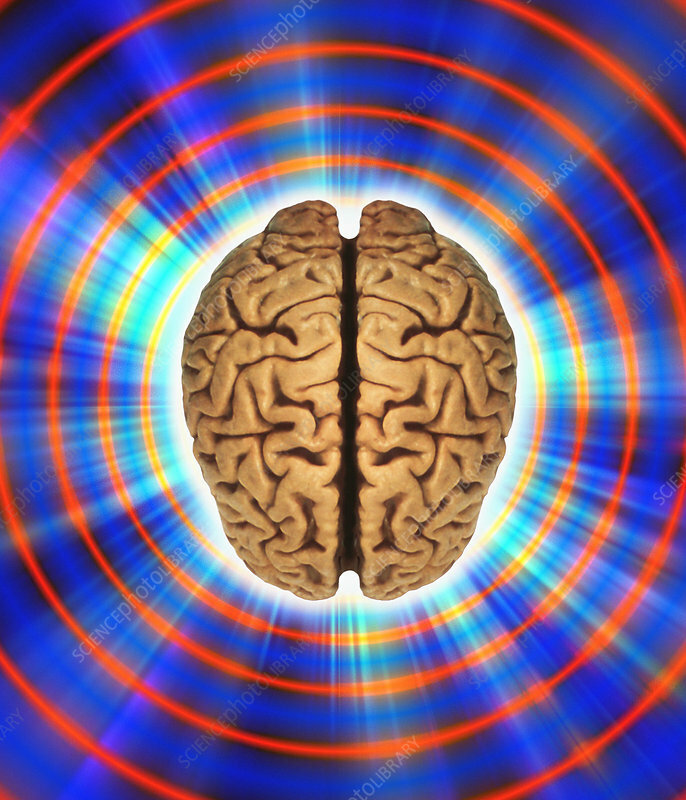 Conceptual computer artwork of a human brain (top view) surrounded by concentric circles representing brainwaves. The front of the brain is at bottom. Brainwaves are recordings of the electrical activity of the brain, the nerve centre that controls bodily functions and thought. The convoluted surfaces of the two hemispheres of the cerebrum are seen here. The cerebrum is the largest and most developed part of the brain, that envelops much of the rest of the brain. Its outer layer is the grey matter of the cerebral cortex that is responsible for intelligent thought, language, conscious movement and memory.